2. Surya Bonaly, Little Princess, ? 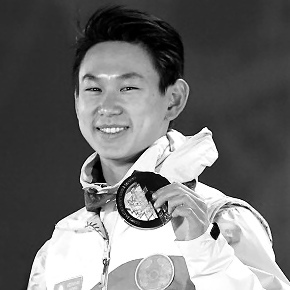 Denis Ten (13 June 1993 – 19 July 2018) was the first skater from Kazakhstan to medal at the Winter Olympic Games (bronze, 2014). medal at an ISU international competition (2008–09 ISU Junior Grand Prix (gold, Belarus). medal at the World Championships (silver in 2013, bronze in 2015). medal at the Four Continents Championships (gold, 2015). More on Denis Ten in the GS Forum.